One of the requirements of the method is that the evidence be reproducible by others who were not the authors of the evidence. If it cannot be reproduced, the scientific method is of little use because it cannot be applied. And if not confirmed by the scientific method, the evidence is not science. Administrator Pruitt has now banned one of many types of evidence that is not in accord with the scientific method. What the supporters of the use of “secret science” are doing is asking others to trust the authors of the evidence that will be ignored under Pruitt’s decision. But what if those producing the “evidence” are cheating or have made a mistake? EPA’s regulations must be based on the best possible scientific evidence. Allowing the possibility that the producers have deliberately or accidentally depended on “secret science” is simply unacceptable. Climate activist “science” has been shown to be worthless on many occasions, once exposed to scrutiny. That’s why the AGW crowd are screaming “foul”. Let the bu99ers scream till they drop. It would help if they employed REAL scientists and not members of the church of climatology. The problem is that the EPA is a government organisation which makes firing the church members difficult so Pruitt will have to make things hotter that they resign – then two things will happen 1) the organisation starts doing what it is supposed to do and 2) the money tap will be turned off to such places as the UN and its environmental agencies so improving the lot of those people in third world nations. Theory based on secret Data is Myth. Science based on myth is Religion. Secret science is rampant. Many secret scientists provide their code, knowing full well that it would take anyone else at least as much time to figure out where they screwed up, as they spent writing it…and they got paid for the effort. If EPA doesn’t even want to provide the code, scrubbed of personal data…shame. Thanks Scott Pruitt. “adjustments” to temperature data has been the go-to for so-called climate scientists right from the get-go. They’ve tried every sort of scientific data crime there is – cherry picking, phony adjustments based on nothing, creation of data from nothing, etc. A classic of cherry picking was Briffa, et al and the 100+ trees in Russia of which they picked just three because only those three clearly supported their thesis. The ‘based on nothing’ crime is in the surface temperature sets. Nearly half the world temperatures reported are science fiction. There are no temperature monitoring devices anywhere near HUGE swaths of the planet that nevertheless have reported values. [look for the little “e” for ‘estimated] Some 1,000+ reporting stations across the old USSR went dark when the USSR crashed. Many of them were in Siberia a not exactly Tropical environment. The phony adjustments have been detailed on a number of climate blogs. The past is magically cooled now a days compared to the original reporting, and the current temperatures are ‘warmed’ yielding a rising change curve way steeper than the raw data shows. Just subtract the raw data from the reported, “adjusted” data and you can see the fiddling going on. As time goes by any so-called ‘adjustments’ will bear ever less resemblance to reality, if current practices continue unchecked. 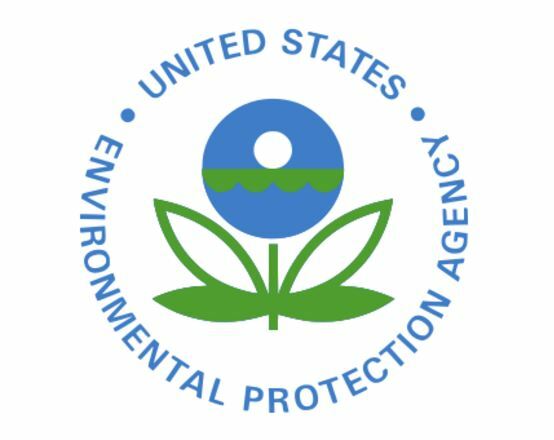 The EPA’s take on Methane (CH4) is an outright lie. see https://cementafriend.wordpress.com/2011/10/ Scientific evidence if they look it at shows that methane is not a “greenhouse” gas. “Secret Science” is like “Secret Justice”. Just a way for unelected people to get their way and abuse power. The Star Chamber was a bad idea in the 17th century under the Stuarts, and the FISA court was just as bad in the 21st under Obama………apparently we are incapable of learning from history.